Jomo Kwame Sundaram was United Nations Assistant Secretary-General for Economic Development, and received the Wassily Leontief Prize for Advancing the Frontiers of Economic Thought in 2007. "Trump's Defensive tariffs propose to effectively deal with China's ‘trade cheats’ "
KUALA LUMPUR, Feb 3 2017 (IPS) - New US President Donald Trump has long insisted that its major trading partners having been taking advantage of it. Changing these trade terms and conditions will thus be top priority for his administration, and central to overall Trump economic strategy to ‘Make America Great Again’. Candidate Trump’s trade policy paper was written by Peter Navarro and Wilbur Ross. Ross will now be Commerce Secretary while Navarro will head the National Trade Council. They view economic policy as integrated, including tax cuts, reduced regulations as well as policies to lower energy costs and cut the chronic US trade deficit. In just 21 pages, they suggest how US growth will increase during a Trump administration, with millions of new jobs and trillions in additional income and tax revenues. One view is that President Trump can implement most of the policies advocated without obstruction by either the US Congress or court system. Internationally, no country will take on the US for a “very simple reason: America’s major trading partners are far more dependent on American markets than America is on their markets”. Navarro and Ross argue that the US has already lost out, mainly due to badly negotiated trade deals and poor enforcement resulting in trade deficits. They claim that because the US does not use a value-added tax (VAT) system, everyone else has an unfair trade advantage, that, they believe, the World Trade Organization (WTO) should have rectified. As the world’s largest economy, consumer and importer, the US has the leverage to correct this by pulling out of the WTO. As the WTO would become irrelevant without the US, the damage would be minor. According to the plan, reducing the US trade deficit will put more money in the hands of American workers who will then be able to afford higher prices for US made products. As American products become more competitive over time, prices will fall, raising consumer welfare. Defensive tariffs are proposed to deal effectively with ‘trade cheats’. With China identified as the “biggest trade cheater” in the world, it gets special attention. In the US public mind, China remains ‘the world’s workshop’, where hundreds of millions of lowly paid workers mass produce consumer goods while its artificially low exchange rate and production subsidies ensure their goods remain competitive internationally. While perhaps true over a decade ago, the situation has changed radically since. At the height of global trade imbalances over a decade ago, China’s trade surplus was more than ten percent of GDP. However, with the sudden slowing of world trade growth during the 2008-2009 Great Recession, growth of the US trade deficit with China slowed significantly. While the US still has a large trade deficit with China, China is also among its largest export markets. In 2014, services overtook manufacturing as the biggest component of China’s economy. Net exports were equivalent to 1.7% of growth, tiny compared to domestic consumption and investment. China will want to continue exporting to the US, but the structural transformation of its economy and greater demand for various services now generates more new jobs, not only in China, but also elsewhere, including the US. On the campaign trail, Trump threatened to declare China a currency manipulator and to impose tariffs of up to 45 percent on Chinese imports during his first 100 days in office. Under US law, Trump can easily cite currency manipulation to impose defensive and countervailing tariffs against others as well. Navarro and Ross not only point at China, but also Japan and the euro, with the Germans getting special mention. Washington has long claimed that China artificially depresses the value of its currency to benefit exporters. 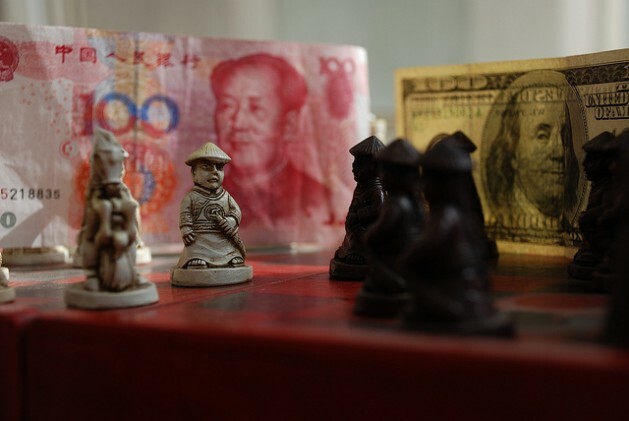 While a plausible case could have been made to this effect a dozen years ago, the renminbi has greatly appreciated since then, following tremendous US pressure, much amplified by the International Monetary Fund (IMF). Most serious economists today doubt the renminbi remains undervalued. While stable for about a decade before 2005, and arguably undervalued for some of that period, the renminbi has risen by 30-40 percent since, prompting the IMF to repeatedly declare that it is no longer undervalued. Indeed, weakening export demand and strong capital outflows have put tremendous downward pressure on the Chinese currency, forcing its central bank to use its US dollar reserves to artificially support its currency. Thus, recent Chinese currency manipulation has kept the renminbi over-valued rather than undervalued. All this suggests that the Trump team is proposing remedies that, at best, rely on a long outdated diagnosis. The current situation is very different. Failure to make progress with wrongly prescribed measures may lead to even more aggressive efforts, which risk leading to economic war in which most, even spectators, will become victims. Exactly what is meant by “making America great again”? The education system has been dimbed down, the infrastructure if rotting, the social fabric seems to be coming apart, the government – city, state, federal – are running on empty, the debt – both public & private – is growing to a point near bursting, the rich get richer while the rest pay for the misadventures the military exudes in. Leverage, says the government, that will save the country. Meanwhile, the waste & corruption rolls again unabated. I wonder, will the incompetence destroy the country, or will by some miracle, indeed, the swamp will be drained? Of course, when the swamp has been drained in the past, it’s replaced with a bigger one.